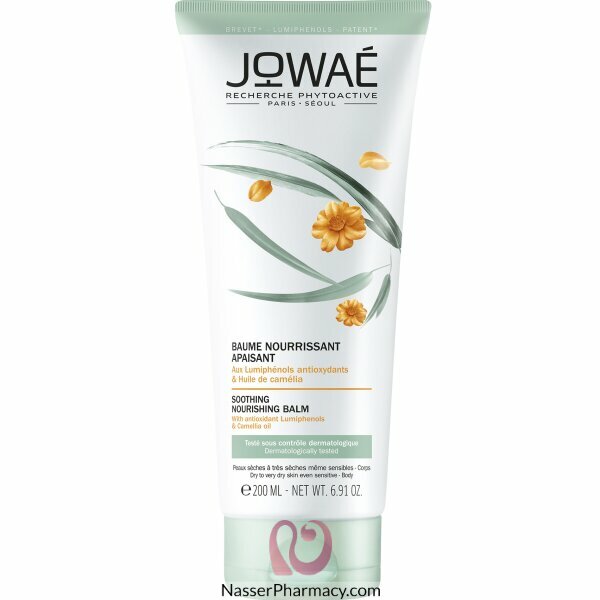 Jowaé Soothing Nourishing Balm 200ml is a nourishing balm for the body based of antioxidant Lumiphenols and Camellia oil. This balm contains antioxidant Lumiphenols, from Sempervivum Tectorum, a plant capable of resisting to the most extreme conditions. Their high level of antioxidants helps the skin to regain balance and protect itself against daily aggressions: pollution, climate variations, stress, fatigue. Your skin is nourished, replenished, repaired and soothed by all sensations of discomfort and tightness related to dry skin.